After each (longer) trip I always have a lot of pictures I really want to share, but unfortunately all of them don’t always really fit into a specific post of their own. This is where these “snippet” posts come to play – although if I was still looking for theme for this post, I would maybe call it The Finnish Summer. The greenery, the light and eating BBQ food & pancakes outside just screams childhood summers to me. Looking at these pictures make me ridiculously happy as I’m actually lucky enough to be back in Helsinki again this weekend to celebrate my friend’s engagement party. This trip won’t be a long one, but I think a weekend away from the hustle and bustle of London will do me a lot of good. And I’m sure I’ll come back with a lot of new pictures to share with you as well, but, in the meantime, I hope you enjoy these ones from last month! Grandma’s pancakes made in the garden are the best pancakes! 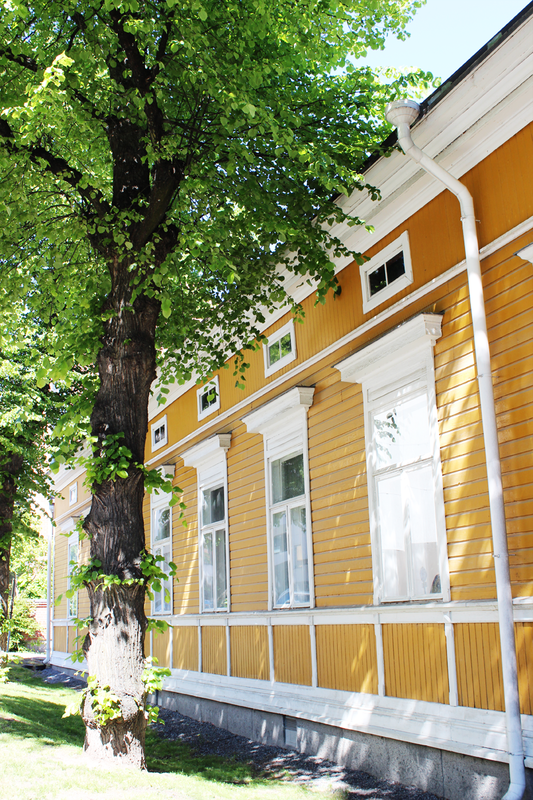 I actually wrote more about these sort of buildings in my Architecture in Helsinki post previously – go take a peek! Helsinki sunsets are pretty hard to beat – this one was taken around 11pm. The last five pictures above have been taken in the beautiful city of Tampere in Southern Finland where I went to visit my lovely friend Nelli to celebrate her son’s 1st birthday party. It was a beautiful day in all different ways – I got to see my good friend who I see way too seldomly and was lucky enough to walk around a different, sunshine filled city for a change too. I can’t wait to go back! What words would you use to describe your perfect summer?